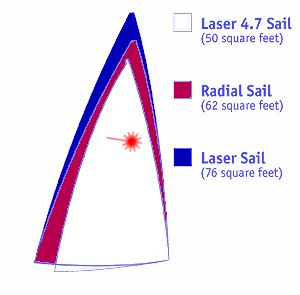 The options for the Laser, one of the most popular single-handed dinghies in the world, comes in the way of a choice of three rigs allowing an owner to set up the Laser to sail in a variety of conditions and sailor weights. 4.7 Rig – Designed for smaller sailors 110 – 140 lbs. (50 – 65 kg). 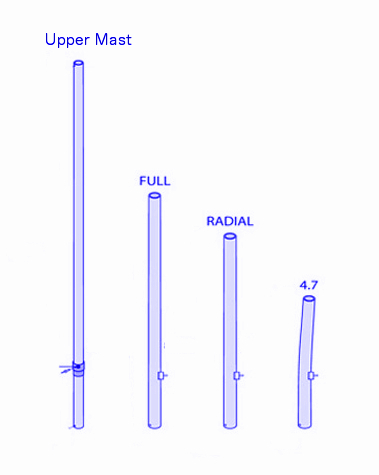 Radial Rig – Used as the women’s Olympic class, and designed for sailors 140 – 175 lbs. (65-80 kg). You are not stuck with only one size rig for your Laser hull. 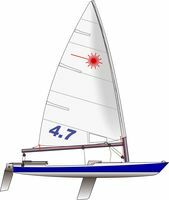 The Laser 4.7 uses a short pre-bent lower mast to maintain a balanced helm and a sail area that is 35% smaller than the Laser Standard. 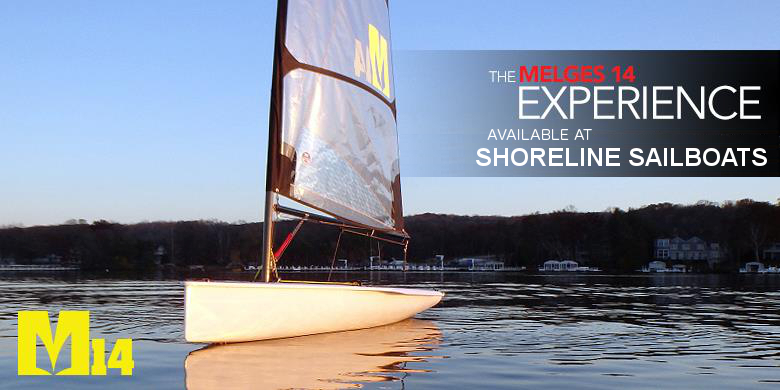 This makes it an excellent choice for kids who are learning to sail or outgrowing the Optimist dinghy. If the Laser hull is kept in good condition the rig can be easily upgraded to 2 different rigs as the child becomes heavier or develops finer sailing skills. 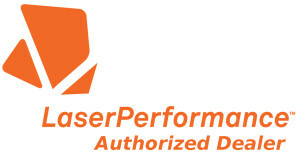 Note: The International Laser Class Association states that a sailor weighing 75 lbs. can sail with the 4.7 rig. Keep in mind that this statement is made considering light to moderate wind speeds. The Laser Radial is the next step up. It uses a more flexible and slightly shorter lower mast section that the Laser Standard rig, along with an 18% smaller sail area. The Radial has a large following that continues to grow with national and international regattas and World, Open, & Youth Championships. The Radial also has a strong following among lighter weight sailors and is used for youth, women and some masters racing. Many countries now support full Laser Radial youth programs. The International Sailing Federation found in their recent survey of national yachting authorities that the majority chose the Laser Radial as their preferred youth boat. The Upper Mast section on the left side in this drawing is identical for all 3 rigs. It mates together with the other lower 3 mast section choices shown at the right. 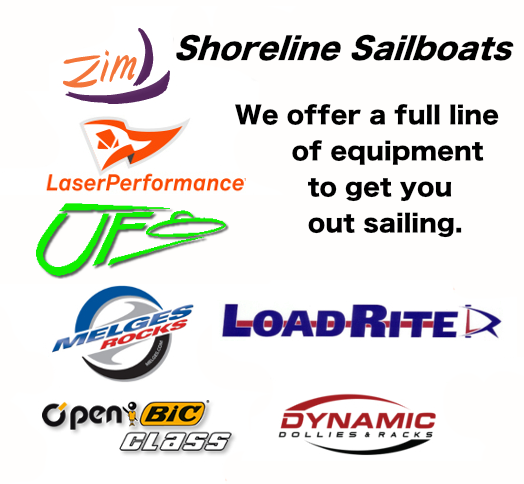 These parts are all available from Shoreline Sailboats along with class legal sails. The lower mast sections come with a gooseneck and vang tang; completely ready to go. No matter which rig you choose, the Laser is a challenging boat that rewards athleticism, subtle steering, and trimming techniques, as well as tactical excellence.